Sunday match reports | Everything Mayo! Locals: Mayo Advertiser, Connaught Telegraph, Tipperary Star, Nationalist, Tipp FM (includes post-match audio with Michael Quinlivan). Nationals: Irish Times, Irish Examiner, Irish Independent, Evening Echo, Irish Mirror (live blog, match report), Irish Sun. Others: GAA, RTÉ, Sky Sports (includes video highlights), The 42, Sports News Ireland, Hogan Stand. Photos: Mayo Mick, Inpho, Sportsfile. 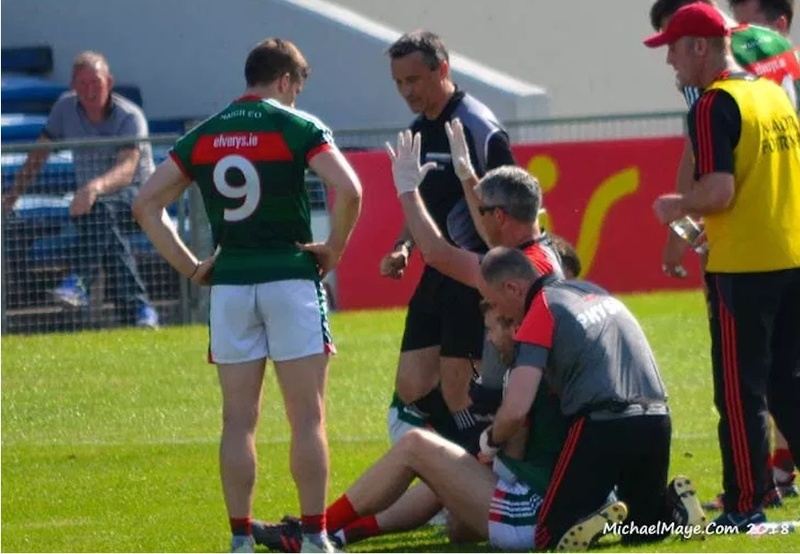 Video: Mayo Mick, GAA (match highlights). There’s also some specific coverage relating to Seamus O’Shea – RTÉ have a piece on that (here) but there’s a better one in The 42 (here), as Stephen Rochford also goes into some detail in it on our tactics in the game yesterday. The news on Seamie, as you’ll know by now, is bad. It’s a shoulder dislocation and he ended up in hospital afterwards, his season – barring an improbable miracle – over. Losing Tom was a huge blow and now losing Seamie as well really weakens us in such a critical sector of the field. I know it gives other lads the chance to step up but how would Kerry or Dublin feel about their chances heading into this time of year if they were shorn of their first-choice midfield pairing? I think we all know the answer to that one. The U17 match yesterday got a bit lost with all the focus on the trip to Tipp. Lost in the media too, by the looks of it, as I can’t find any match reports on their Connacht championship Round 3 win over Sligo. They came out on top, in case you hadn’t heard, by 2-18 to 0-10 but that bad defeat to Roscommon in the second round, plus the fact that it’s Galway up next, means it’s unlikely they’ll feature in the provincial decider this year. Right, that’s your lot for now. Back later on with the match-day edition of the Mayo News football podcast, which should be online at some point early in the evening. It’s another jam-packed episode, featuring all the excitement from Semple Stadium yesterday, with plenty of post-match reaction and analysis. A veritable host of voices make it into this one, including once again Tipp’s Declan Browne and special guest Tom Parsons. Keep voting in the MOTM poll, if you haven’t yet done so, and, finally, best of luck to the ladies in their Connacht final against Galway this afternoon. The post Sunday match reports appeared first on Mayo GAA Blog.